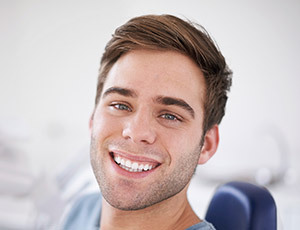 While maintaining great oral health should always be a patient’s main priority, our team of experienced dentists understands that your smile’s appearance can have a huge impact on your self-image and confidence. 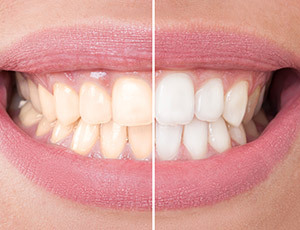 If dental flaws like staining, chips, cracks, or gaps have robbed you of a look you can feel proud of, then it’s time to schedule a cosmetic consultation here at Canyon Creek Family Dentistry. Our practice offers several services that can transform teeth for the better, and we’ll be happy to work with you to determine which ones are right for your needs and goals. Contact our Richardson office today to get started! If you want to achieve a straighter smile, you don’t have to settle for metal braces. 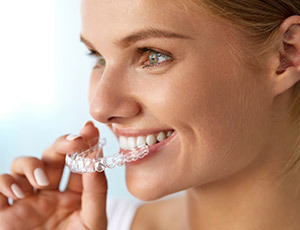 Invisalign is a cosmetic-friendly orthodontic service that can gradually shift teeth towards their proper alignment with the help of clear, comfortable aligners. These aligners are very subtle in appearance and can easily be removed when eating, brushing, or flossing. Porcelain veneers are ultra-thin restorations that are meant to cover the front surfaces of the teeth in a lifelike fashion. They’re a great cosmetic solution for patients who aren’t interested in undergoing multiple treatments and would rather choose a comprehensive option that can treat several smile flaws at once. Patients often use veneers to correct stubborn staining, cracks, small gaps between teeth, and even misshapen dental structure. Contrary to popular belief, restorative work doesn’t have to look and feel unnatural! At Canyon Creek Family Dentistry, we offer metal-free restorations for patients who want to make their appearance a priority. With Emax and Bruxier high-quality ceramic, dental crowns, inlays, onlays, bridges, and more can be crafted so that they’re a perfect match with the rest of your smile; in fact, they even reflect light in the same way as your natural enamel! They’re also durable, comfortable, and very biocompatible. If you have a relatively small dental flaw (such as a spot of discoloration or minor chip) that nonetheless weighs heavy on your mind every time you look in the mirror, direct bonding is a simple and effective way to correct it. The procedure only takes one appointment, during which one of our dentists will sculpt lifelike composite resin over the offending flaw so that it blends in seamlessly with the tooth. While bonding may not be as long-lasting as other cosmetic options, the results can serve your smile well for anywhere from 3 to 10 years. 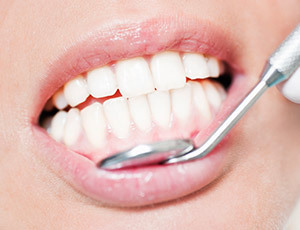 Over time, your teeth can become stained and discolored for a wide variety of reasons, including diet choices, medication use, genetics, and simple old age. 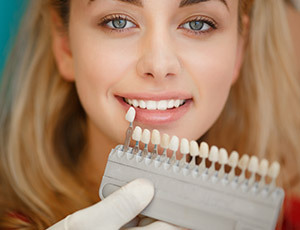 Here in Richardson, our team wants to help you recover a bright, confident smile that can be shown off proudly, and teeth whitening is the way to do it. Our doctors offer both in-office Boost for a lightning-fast improvement and take-home Opalescence kits that can be used on a patient’s own schedule to create beautiful results after just a few weeks. If your teeth appear overly short or uneven, you likely have a “gummy” smile. Many patients resign themselves to this condition and don’t actually realize that a qualified dentist can help them achieve the look they want – but it’s true! With our advanced soft tissue laser, excess tissue can be precisely and comfortably eliminated from the mouth, revealing the previously hidden dental structure and creating a more symmetrical, uniform appearance for your smile.